There is good news for those considering a new car. This July, for the 172 registration period, customers will be able to transform their old car into €4,000 when buying a new ŠKODA at Michael Moore ŠKODA. Speaking about the zero per cent finance, William Lee, head of sales at ŠKODA, said: “We are delighted to be launching our 172 offers at Michael Moore ŠKODA with two great offers: ŠKODA Scrappage and zero per cent finance. 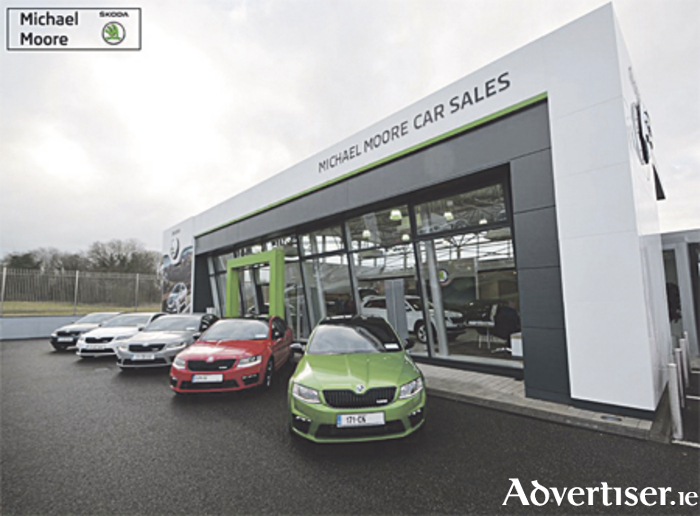 “We have some really superb offers available for motorists this June and we are looking forward to welcoming lots of new and familiar faces to Michael Moore ŠKODA. The ŠKODA offers are availabe at Michael Moore ŠKODA for a limited time only during the month of June. The zero per cent finance offer applies across a range of ŠKODA models, including the Fabia, Octavia, and Superb. Talk to Keith or Eamon on (090 ) 6403555 for more details.